We Ship USPS, cost to ship $13.00. We don't want freight costs to be more expensive than required, if you would like to purchase multiple items, please contact us and we'll work to keep your freight costs down. Spinning is my passion, I have a wonderful Jensen spinning wheel that requires both feet to be in concert with both hands; providing the ability to relax as I concentrate on the hum of the wheel. 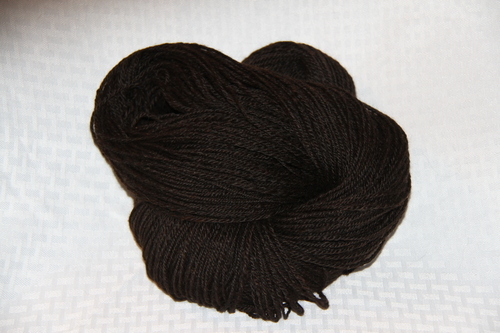 I have an uneven spinning style, however this skein is probably the most even I've produced. The only reason why I believe this skein is this nice, is because I spun with superfine/baby alpaca fiber. Enjoy using the yarn that will produce a genuinely unique item! 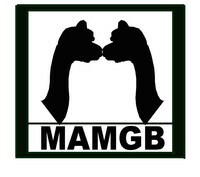 MAMGB Greenbriar Farm raises black fleeced Alpacas in Waukesha Wisconsin. Please feel free to give us a call and schedule your farm tour to meet the animals that produce this wonderful fiber!